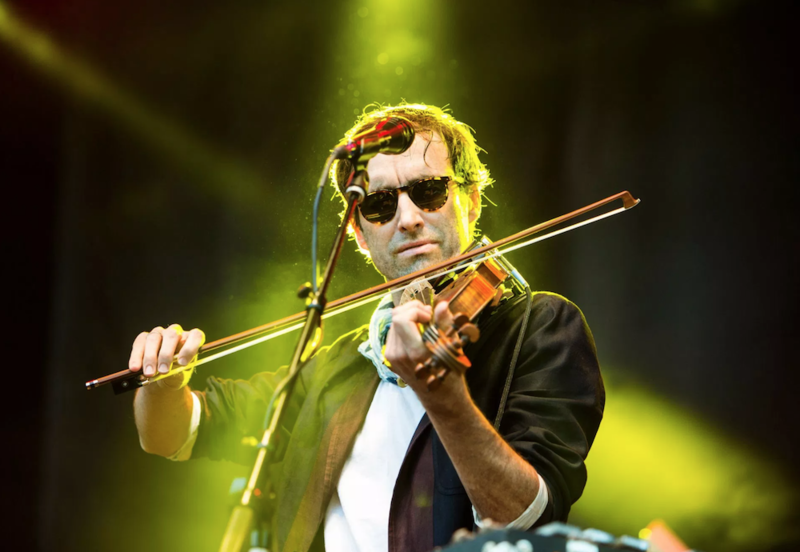 Today, Andrew Bird returns with his 12th album, My Finest Work Yet. To support its release, the veteran songwriter has mapped out an extensive North American tour, as well as shared a new music video for early single “Manifest”. Bird’s “My Finest Work Yet Tour” launches early April and will run all the way through the first week of November. The months-long jaunt is scheduled to hit Los Angeles, Nashville, Pittsburgh, Washington, DC, Seattle, Toronto, Vancouver, Dallas, New Orleans, and Cleveland. Bird is also marked for multiple stops in the cities of Chicago and New York, as well as a Boston gig co-headlining alongside Calexico and Iron & Wine, who both recently announced a collaborative LP. Opening for Bird on the outing are a number of various acts, including Hiss Golden Messenger, Chicano Batman, and Tift Merritt. Find the full tour itinerary below. Grab your tickets here. As for Bird’s new animated clip, it was helmed by Andrea Nakhl and can be watched below. Stream My Finest Work Yet in full via Apple Music or Spotify. Then be sure to grab the LP, a well as Bird’s other past releases, on vinyl by heading this way. Bird recently took over the Consequence of Sound Instagram while down at SXSW 2019. He also appeared on our This Must Be the Gig podcast to talk about his past, present, and finest work.